Interior/exterior Satin Enamel finish; covers up to 16 sq. ft. Marquee 8 oz Deep Base Matte Interior Paint Sample with Primer Marquee<sup></sup> is BEHRs most advanced interior paint and primer ever - delivering superior stain resistance and one-coat coverage with every colour in the gorgeous Marquee<sup></sup> Interior One-Coat Collection. 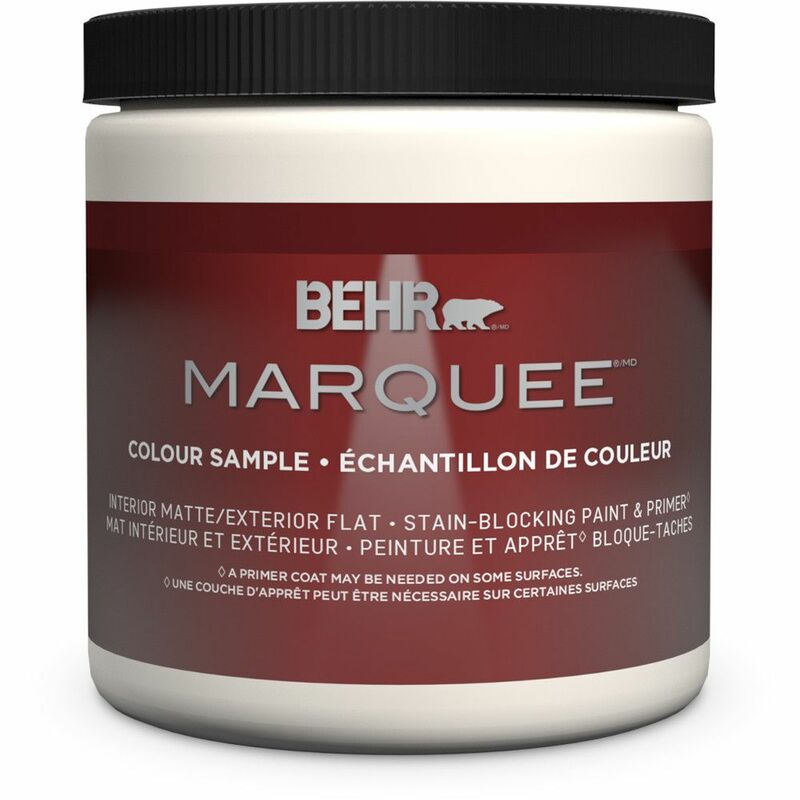 The BEHR Marquee<sup></sup> 8 oz. Sample Jar is a convenient way to find your perfect colour before delving into your paint project.